Hong Kong / London (3rd Dec 2018) - Our 1-year-old project The Textile Atlas is so honoured to be awarded the Design For Asia Grand Award and Grand Award for Culture this year amongst many huge projects around Asia! Thank you DFA Awards for the recognition and raising awareness to make design an inclusive industry, and through The Textile Atlas to support heritage preservation and give income to those in poverty. Thank you Design Trust for believing in the project and for many contributors who share the same vision. More contribution of stories is welcome as we want to share more culture textiles! Hong Kong (20th August 2017) – Narrative Made, a fashion brand and textile studio, has launched The Textile Atlas, an online resource platform promoting disappearing Asian textile crafts in commercial, academic and public arenas. The Textile Atlas is a response to the fast-disappearing relationship between design and culture. Heritage textiles carry rich stories of cultural history. While many ethnic minorities don't have a written format of their languages, for generations they have been creating motifs into their costumes to tell the ancestors' stories. With the trend of people leaving their traditional textile crafts, many cultures are quickly disappearing. Sharon de Lyster, Founder of Narrative Made championing sustainable practices and heritage crafts, believes in order for artisanal businesses to be sustainable, they need to have the resources and networking platforms to promote such practices. The Textile Atlas preserves a record of disappearing crafts with their reflected cultural stories, and provides a resource platform for both the commercial industry and academia through digital maps. It aims to raise awareness of the disappearing crafts and cultures, and assist individuals, organisations and businesses to promote and collaborate with their engagement with heritage textile crafts. 1. Resources Map: A collection of museums, research centers, libraries and associations dedicated to the preservation and promotion of traditional textiles. Use the Resources Map to plan your research and fuel your passion for textiles. 2. Artisans Map: A collection of artisans, co-ops and designers creating textiles with traditional techniques, motifs and materials. Use the Artisans Map to discover makers in your region. a. The Making of - Discover the time-honoured processes and specialty skills behind traditional textiles. b. The Profile of - Meet the artisans, designers and entrepreneurs who are keeping traditional textile techniques alive. c. The Culture of - Explore the beliefs, rituals, identities and cultures interwoven with traditional textiles. 4. Archive of collectors’ items: A visual archive for private textile collections to be shared online. The Textile Atlas launches online on the 20 August 2017, and will be showcasing as part of the Confluence 20+ exhibition by Hong Kong Design Centre in the Chicago stop. The exhibition will take place on 5-31October 2017 at Block 37, 108 North State Street, Chicago, IL, United States, featuring a collection of craft projects from The Textile Atlas with both physical objects and digital information from the website. The project calls for interested contributors, practitioners and collectors to join the building of the atlas. The Textile Atlas is supported by Design Trust, an initiative of the Hong Kong Ambassadors of Design. Narrative Made is a people-centered fashion brand and textile studio exploring heritage textiles and those who make them. Founded in 2015, the studio creates fashion collections that feature Asian artisanal crafts, publishes makers’ stories and researches, and supports on-the ground development projects. 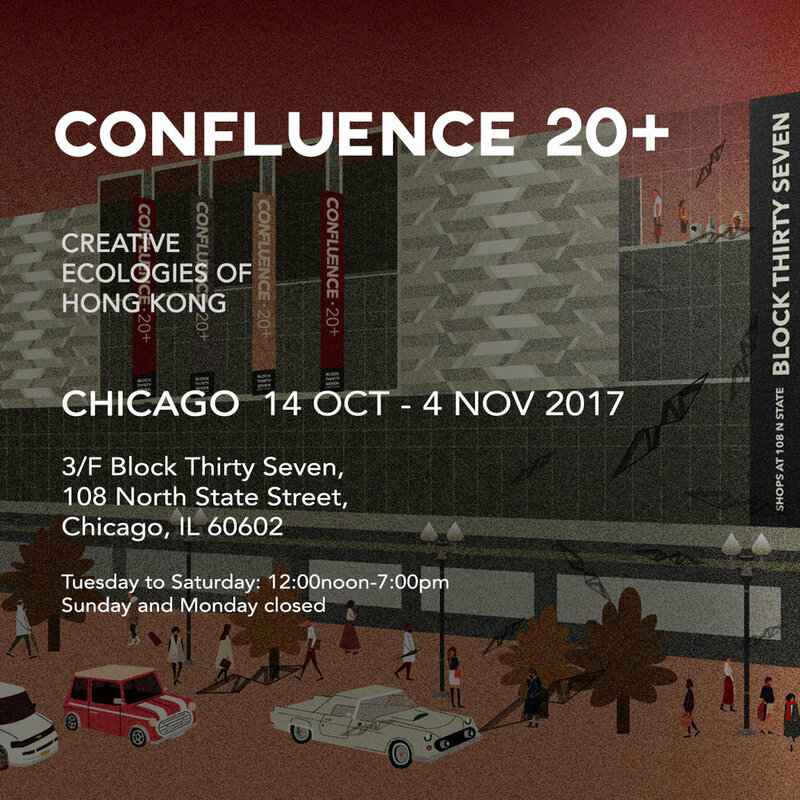 Our forth stop of Confluence 20 is going to kick off next Friday at Chicago Design Museum! • Showing new and unpublished craft stories from The Textile Atlas and explore in person the textiles and tools used in Asian heritage crafts! • Join our styling workshop on 14 Oct to experience first-hand cross-culture costumes! Have fun with this unique fashion shoot! • New collection Sojourner will be available for the first time pop up in the US! Fashion is our skin of choice. What we wear represent how we feel about ourselves. Narrative Made works with handmade textiles, especially those that carry stories of cultural identities. Due to the lack of written format of their languages, a lot of ethnic groups have been, for generations, weaving motifs and telling stories of their ancestors into their costumes. Sharon de Lyster, our founder, is running a cross-cultural fashion styling workshop in celebration of diversities. Come in your own chosen outfit, and pair with heritage costumes from an Asian culture – from Japanese Boro to Miao’s silver headwear! Experience a different civilization through modeling and a fashion shoot. No advanced booking required. Simply drop by the exhibition to participate. First-come first-served. Participants can bring home their fashion shoots that celebrates cultural diversity. Our exhibition is making its third stop in the city of Seoul! Visit the iconic DDP for a journey through the Asian traditional textiles Narrative Made works with and see some of The Textile Atlas crafts in real life! Age-old stories set against Zaha Hadid's futuristic space! It is coming to Hong Kong! Presented by the Hong Kong Design Centre, we are showing our artisan partners' work alongside many established local designers, and hosting a workshop on traditional Indonesian batik. Come join us! Narrative Made is honoured to take part at Confluence 20+, presented by the Hong Kong Design Centre at Milan Design Week. Join us and explore a collection of artisan's works we partner with. Do you represent an individual or a group of artisans in Asia? Are you a history/culture/textile writer? Are you a textile researcher, collector or dealer? Do you know of any great resources on Asian heritage textiles? Narrative Made is launching a new project called The Textile Atlas, and is looking for experts and contributors to join the project. If your answer to any of the above is yes, please get in touch and we would love to hear your story! The Textile Atlas is a response to the fast-disappearing relationship between design and culture. Heritage textiles carries rich stories of cultural history. While many ethnic minorities don’t have a written format to their languages, for generations they have been creating motifs onto their costumes to tell the ancestors’ stories. With the trend of people leaving their traditional textile crafts to work out of town, many historical cultures are also quickly disappearing. The Textile Atlas will preserve a record of disappearing crafts with their reflected cultural stories, and provide a resource platform for both the commercial industry and academia through searchable maps. It aims to raise awareness of the disappearing crafts and cultures, and assist individuals, organisations and businesses to promote and collaborate with their engagement with heritage textile crafts. Where did Narrative Made come from? Here is the story from founder Sharon de Lyster. About 18 months ago, I had the chance to talk to a successful businessman about my idea of building a sustainable fashion brand - a brand with a mission to preserve heritage craft and provide income for marginalised communities, communities who had not that much resources and not that much choices in life. The businessman said, “Yes. I was given the opportunity to be an entrepreneur, I believe everyone deserves an chance to start something new and make a difference. Go take this money and do what you just said.” So he believed in me and he paid it forward - for me to have the opportunity to do something I couldn’t do otherwise. So that came the birth of NM, and with the help I received I am truly grateful. I journeyed on and reflected on the heart behind NM and how it has impacted me and the people I worked with, I couldn't help but think that the wise thing and the right thing is to multiply. So NM has started to link up artisans with other brands and buyers, and has also started to build a network rather than a brand. Then I started questioning how can I pay it forward for someone else, and allow others to do the same too? Therefore throughout the month of November, Narrative Made is running a Pay-it-forward game! With every item sold across all platforms and stores, ALL PROFITS will go to HOPE International, one of my favourite organisations that has mastered the idea of believing in an individual and paying it forward for the person. HOPE international offers micro-finance opportunities that help people save for the future (for example empowering parents to pay for their children's school fees), and invest in businesses. 2) it is an invitation to you to join a community of people seeking to impact the world for good. Think about the people who have paid it forward for you in your life, maybe it’s time to show love and give a whole new meaning to your gifts this Christmas.